Pink Floyd’s second outing, A Saucerful Of Secrets was one of the top psychedelic albums of the 60s. 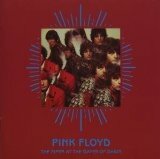 Released on June 29, 1968, it began the transition from the shorter, more concise psych-pop songs written by co-founder Syd Barrett on their debut album (The Piper At The Gates Of Dawn, August 1967) to the deeper, lengthier and stylistically progressive explorations of their next five LPs. 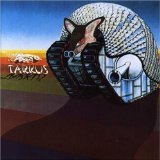 A Saucerful… also marked the end for Barrett as a member, chief songwriter, lead guitarist and de facto leader of the band. 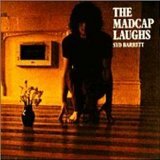 Barrett’s mental affairs were unraveling rapidly in late 1967, smack in the early stages of the recording sessions at EMI Studios on Abbey Road in London. In January 1968, David Gilmour was recruited to provide stability at lead guitar as Barrett faded away. Syd was out forever in March and his only written credit on A Saucerful… was the trippy, upbeat “Jugband Blues.” Taking control of the proceedings and the band’s direction, Roger Waters and Richard Wright (with obvious support from Gilmour and drummer Nick Mason), delivered lighter pop-psychedelic classics (“See Saw” and “Remember A Day” are baroque-poppers with a pastoral bend) and contrasting longer space-psych forays in “Let There Be More Light,” the title track and “Set The Controls For The Heart Of The Sun” (widely considered the aboriginal space-rock track). With A Saucerful… Pink Floyd began the progressive art-rock voyage that would culminate in the massive hit album, The Dark Side Of The Moon in 1973. 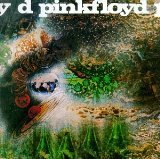 Casual Floyd fans, especially those who caught the bug with Dark Side, are advised to give an ear to A Saucerful Of Secrets. It’s a true gem and you’ll find it as a CD and mp3 tracks on Amazon and as iPod tracks on iTunes. My take on Pink Floyd’s Top 25 is in the Playlist Vault. 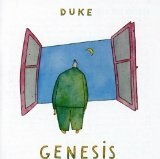 A good number of people – critics and die-hard Genesis fans especially – accused the progressive rock band of selling-out when they released their tenth studio album, the pop-oriented Duke, on March 31, 1980. Truth is, the seeds of change on Duke were sewn years before. Anyone who failed to hear the drift toward pop-rock wasn’t paying attention to all the signals, foul-crying critics and fans especially. Check out and comment on my Genesis playlist here). 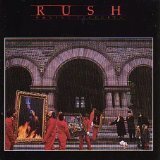 Album of the Day: Rush (2/7/81) 29 Years! Probably the definitive Rush album, Moving Pictures came out on February 7, 1981, a year after their biggest hit single (“Spirit Of Radio”), from the Permanent Waves album, and spawned two radio-friendly tracks, “Tom Sawyer” and “Limelight,” which I won’t bore you by talking about (yay!). But you can check out these and other top Rush tracks in Dr. Rock’s Playlist Vault by clicking here. Like its predecessor, Moving Pictures had a punning cover (check it out: not only are they [physically] moving pictures, but they are making [films] moving pictures, and the whole thing has people crying, making them [emotionally] moving pictures) and some great songs, and their last stab at a Proggy-concept track “The Camera Eye” with its intriguing intro (a typewriter tapping – do you kids even know what a typewriter is??) 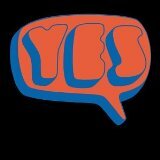 and very spacious sound and alternate major/minor backing to the guitar solo, was a graceful salute and farewell to the excesses of the Prog Rock era. 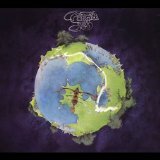 “Red Barchetta” was a brief return to the sci-fi/fantasy song themes of yore, and also a tip to Neil Peart’s individualist social/political thinking, which had drawn Rush so much criticism during the 2112 era. “Witch Hunt” has clear, pro-tolerance, anti-mob lyrics, and the absence of a guitar solo only reinforces the power of the words: “Quick to judge/Quick to anger/Slow to understand”. Nice. “YYZ” with its deliberately odd-rhythm/flattened-fifth intro (you did know “YYZ” was the code for Toronto airport, right? Sorry – just checking) now appears on Guitar Hero, for those of you who find Whack-a-Mole an acceptable substitute for musical ability. Big “uh-oh” reserved for the final track “Vital Signs”, which was a taster for some of the clunkier tracks with just-plain-stupid lyrics that Rush did in the later 80’s, when they started to sound like a heavy-rock version of the Police (Sting’s old band), or Yes-plays-Bob-Marley or some such. Moving Pictures is available for purchase as a CD or download as mp3 files on Amazon (click here) or as iPod downloads at iTunes (click here).